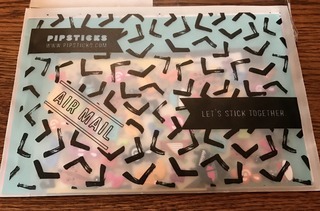 I'm so excited to share another month of Pipsticks with you. 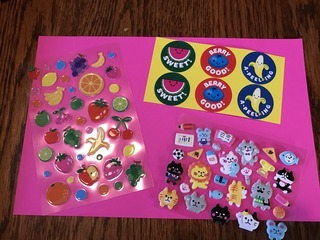 As you know I love stickers - in fact if you follow me on Instagram you will see I often post the stickers I'm using each day in our homeschool. 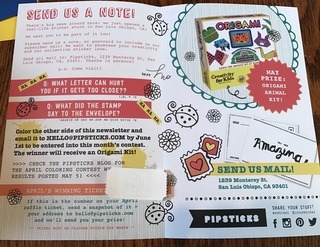 Pipsticks is a monthly sticker subscription. They have a kids and a grown up subscription and two sizes a Classic ($14.95) and a Petite ($9.95). I chose the the Kid's Classic and that is what I will be featuring in this review. The newsletter features information including different contest. You will also check your previous month's raffle ticket here to see if you won the drawing. 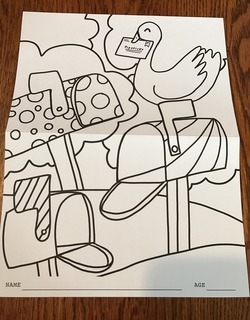 The back of the newsletter is a coloring sheet. J-man really likes to color so this is a fun addition for him. 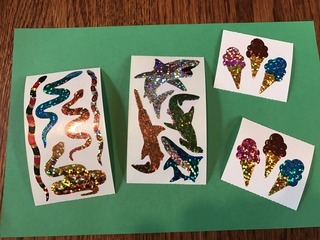 The shiny stickers were a hit in our house too. We have already used all of these sheets in our homeschool. Jace took one set of the ice creams for his door. 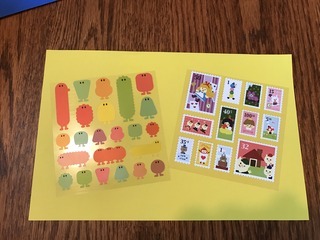 There were two full sheets of puffy sticker and I'm not a fan of those in general because they can't be used in our school books. We will set those aside for projects/crafts or gift giving. (I love giving little kids stickers!) The top right stickers were scratch and sniff and those were my favorites of the month. They smell so nice and it just brings back memories. If there were scratch and sniff every month, I'd be thrilled! The little blobs with eyes are some of the cutest stickers I've ever seen. They are pretty sheer but when you put them up against a light colored background the color really pops. We've been using them with our reading to help highlight certain words. I also loved the stamp-style stickers that feature nursery rhymes. These are getting saved and I'll use them for something special. 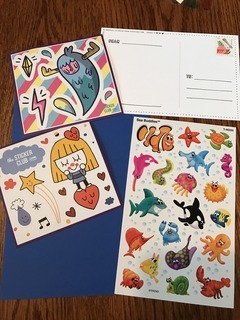 The marine life stickers were adorable but the two other sheets were just odd. 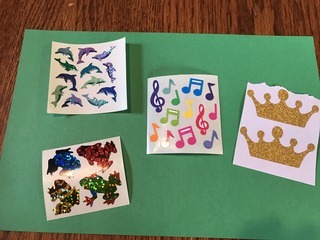 I let Jace use them for crafts because I had no use for them. What did you think of this month's subscription?